We would like to welcome you all to Conclave 2019, Saturday 22nd - Sunday 23rd June, Limerick's premier Games and Hobby convention. Where all are welcome, the young and old, both the new faces and the familiar friends who we have met over the years. Conclave has always been a family orientated event where parents can come and find out about their kids hobbies or kids can come and find out about their parents hobbies. Bonded by an interest in gaming, modelling, painting, comics, sci-fi, fantasy and the gems of pop culture we get together for two days a year to celebrate our many diverse and similar interests and that is Conclave. From it's humble beginnings in Halla Ide on Thomas street, Conclave has spread across the globe . Now our stronghold for the five year running is Thomond Park the home of Munster Rugby and now Munster Gaming. For 21 years the Conclave banner has been bringing people together, from the Veteran Wargamer to the youngest Yu Gi Oh player still struggling with his first deck, from people who play a knight and roll dice in a Role Playing Game to people who don a full set of real armour to be a knight. Anyone who enters our doors, gets involved or has an interest in what we do is a part of Conclave and The Gathering Gamers. If you even think you might fit in or not... then you probably fall under our umbrella. So turn up for another great spectacle in Thomond Park and that's not just our wonderful staff. In 2014 Limerick was Ireland's city of culture, come to Conclave and see why Limerick is the Irish home of subculture. The Conclave 2019 site will be developing over the next while as details are confirmed for the various events. Please bare with us as we update to the finalised form. Accomadation, travel, sights to see. Your guide to surviving. The finest display of detail & precision you'll see! They have come a long way from monopoly and axis and allies! It should be noted that Events that do not make mention of an inclusive Day/Weekend Pass require one of these to be purchased along with Entry into the Event in question - this is to allow players greater flexibility in the Events they wish to take part in across the weekend as a whole. 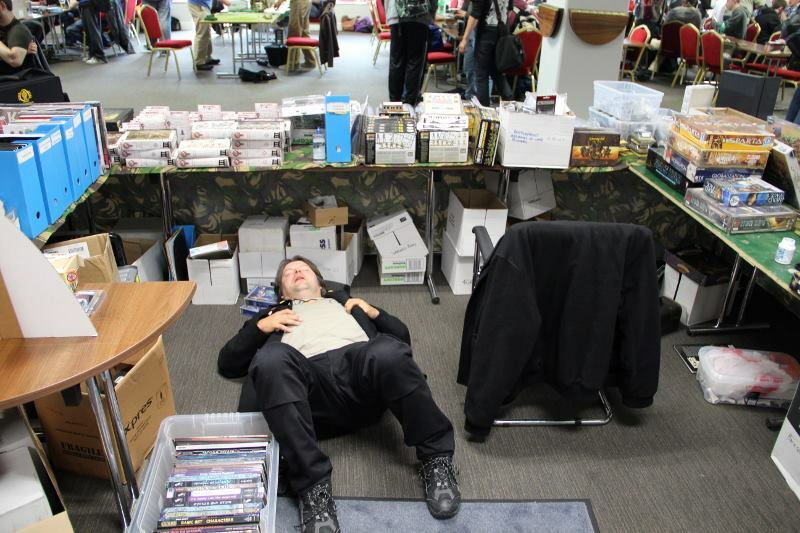 All the above will have Public Participation Games & Demos running throughout the weekend, as well as Board Games; RPGs; CCGs; DBA; Sails of Glory; Black Powder; Fields of Glory; Flames of War; Bolt Action; & much, much more!